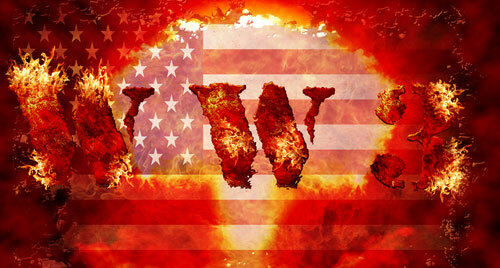 Russian Politician Warns Of WW3 After January 15th - "Get Ready To Mobilize!" Flamboyent Russian politician Vladimir Zhirinovsky, who 3 years ago warned of a 'secret Russian weapon' that could destroy any part of the planet within 15 minutes leaving hundreds of millions dead as shared in the 2nd video below, is making headlines again in the 1st video in which he warns World War 3 will begin sometime after January 15th in another appearance drawing raves and heavy criticism for his comments. While in the 2nd video Zhirinovsky tells us about this secret Russian weapon, which nobody else knows anything about yet, and that can put "entire continents to sleep forever", he also tells us that there are "only 4 capitals in the entire world" and "they will always agree with each other", lending further credence to the 'global government' conspiracytheory while sharing uncensored truths with Americans and the world. The 1st video description in Russian has been translated below as well as a comment which sum up the words of this Russian politician who tells us we will soon be facing a World War; commenters clearly point out that Zhirinovsky has been correct about predicting coming world events for 25 years! The 2nd video is a real eye-opener about what we may soon be facing...a 'secret Russian weapon' according to Zhirinovsky who also tells us Washington DC will soon 'collapse'. Vladimir Zhirinovsky - The war will begin in 2015 - Get ready to mobilize! Vladimir Zhirinovsky - We are on the brink of war ! Vladimir Zhirinovsky - RUSSIAN prepare for war with NATO !! !